So the last time I updated my blog here was June 2012, after a great Valsesia season in Italy. That’s some time ago, and its pretty truth to course, that if I am very busy, the first thing I do not do is update my blog. So sorry, but with a small one in the house, and working away a lot, my life is busy. Still for 2013, I am going to try and do a monthly update as normal, and have far less time of internet kayaking forums and facebook groups. I will try, after all I must. The long road north to Norway from the alps is never short of a 2 days affair, where the tip of the European mainland is but the half way point to my summer’s fable paddling home, Sjoa. After spring comes summer, and every summer since 1995 has been spent in Norway, 2012 was no exception. Originally I came for work, later just for the paddling, and these days both, yet it was always for the love of wide open prefect outdoor adventures. In early June, with another family we headed to the west coast, rented a cabin (hytter) in Valldal, and enjoyed hiking, biking, playboating and lazy evenings too. 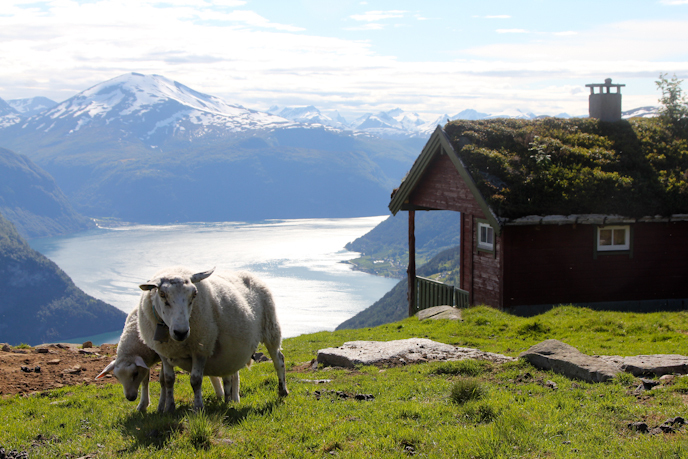 In Valldal, the fjell reaches high above the fjords, making for spectacular scenery, and as you can see, even the sheep enjoy their place in perfection. En route to Valldal we stopped off at Geiranger Fjord, check out the tiny cruise ships in the fjord 2000m or so below. On holiday, it’s great I get to enjoy time, in fact all day with the little one, and had some great times, especially as she has starting to crawl and everyday some personality started to reveal itself. Sharing a cabin with friends, meant we were able to enjoy midnight surfing on the middle Valldøla with the unseasonal high water levels, whilst the little one was safely under a watchful eye. These sessions were a highlight for my wife, who had missed her playboat for the last year or so…..
One thing I do like, is the use of modern and original ideas in buildings to be found in Norway. These little turns of art are not everywhere, but often used in wonderful places, below are some hand rails on a walkway at a waterfall spot along the golden route of the west coast of Norway. During July & August is peak season in Norway, and last year we had 10 weeks of work in Sjoa and beyond. 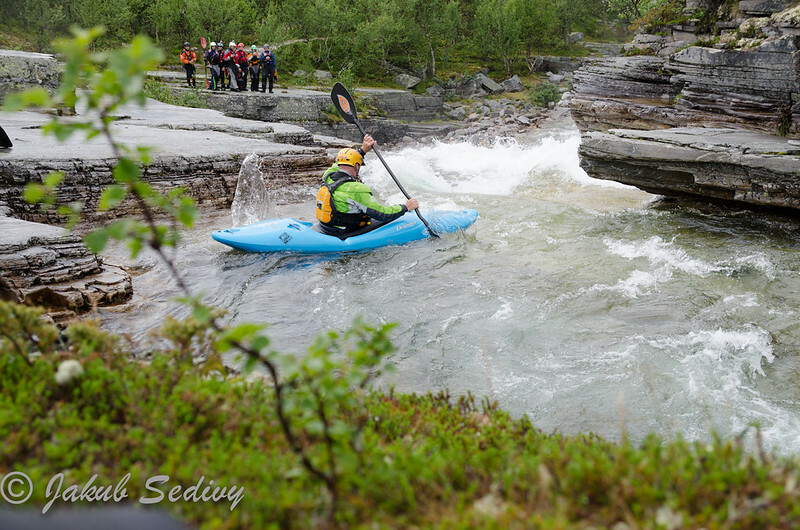 I love paddling in Norway and of course love working on the rivers there. After all I have been coming every year since 1996, and now I am in Norway for more time in the year than any where else. Within the work, there is a lot of tactical information plus increasingly so more biomechanics of movement, especially with simple strokes like a forward stroke. It’s often the case that most paddlers use little of their core strength to drive the boat forward and as a result try to make their arms do more work instead. 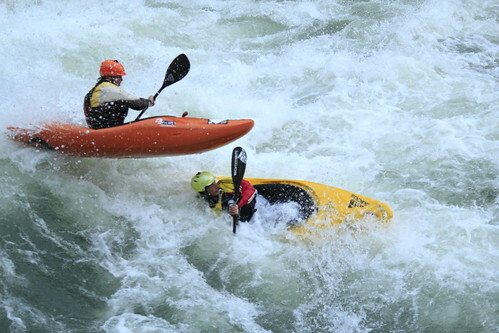 This in the end leads to an odd paddling style, that eventually gets challenged either by injury or repeated mishaps. When coaching moves like a boof, I look at core strength and biomechanics to ensure paddler gets the most from their paddle blade. Part of the job is to give near prefect demos, I have always felt its the job to the coach to lead by example, its the easiest way. Even when the white water gets steeper and harder, the demo needs to keep coming. Sometimes it’s hard after giving lots of feedback to then step to the plate and fire a solid line of what you wish the paddlers to do, but clear focus is important and so is a great demo. 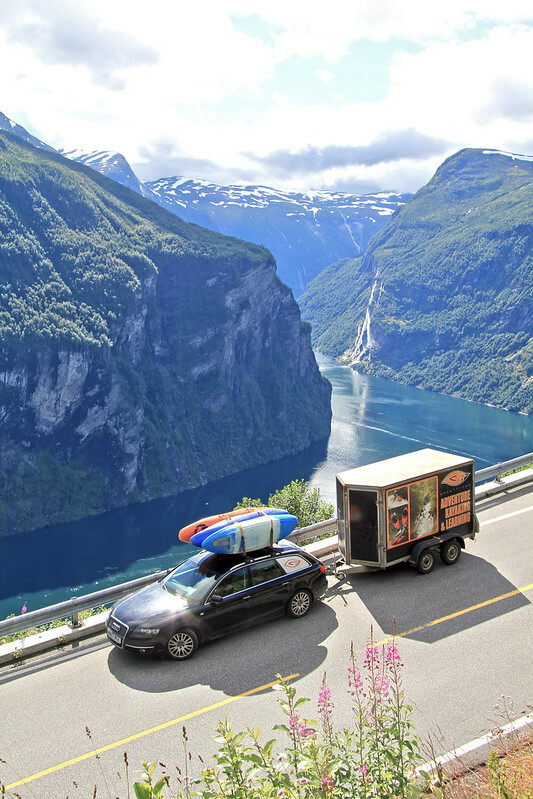 Last year we ran to road trips to Valldal, taking in some of the great rivers en route, a prefect slice of Norway’s best white water, it’s great to work this way. 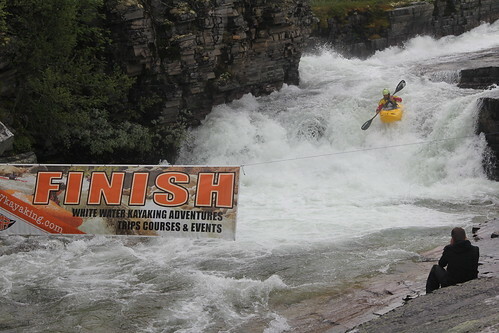 During the middle of the summer, I get to run the Sjoa River Festival with the boys of Strie Strømmer and the guys that work for Gene17, July 2012 was another vintage occasion, with high water and great flows. 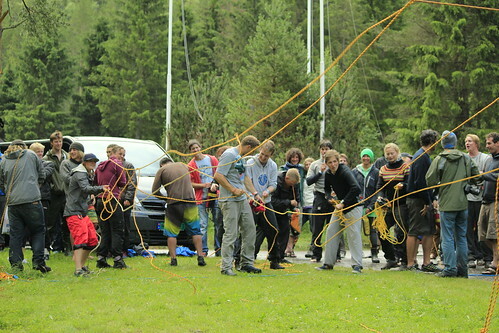 So much so we needed to move a few races, such as the Ulla Extreme not including the waterfall at the end and the Sweet Rumble yet again was on the Riksanlegget Slalom course at the Sjoa Kayak Camp. High water kept the crowds down last summer, with less Norwegians than before, still great fun for those that attended. 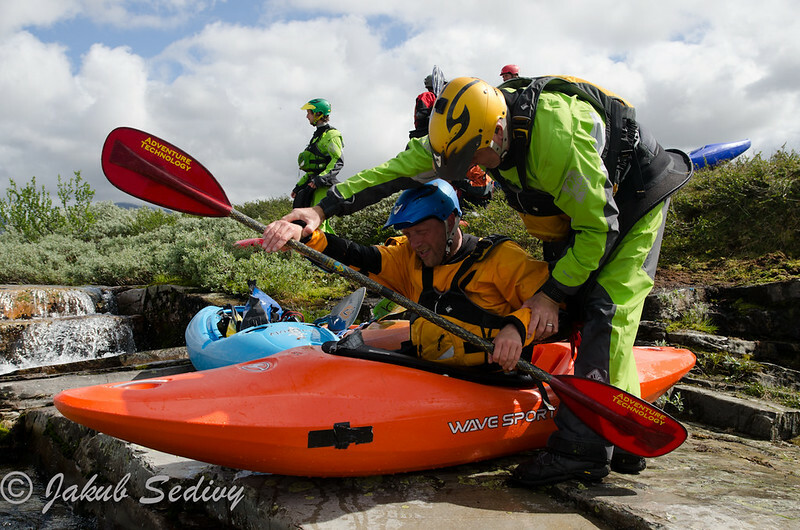 Sadly just before the festival, news reached us that we lost a paddler on the Lower Jori river whom was due to attend the event. 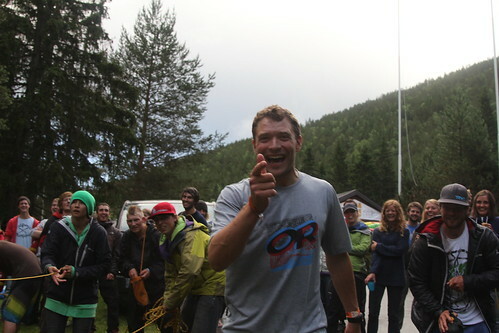 Hans from Belgium, was one of 4 paddlers to die on the rivers of Norway that summer. It reads like a tough stat to swallow, and it is. The guys involved on the Lower Jori that day, had an even tougher day. High water in Norway seldom looks like glacial silt runs of the alps, or flood waters of temperate forests. High water in Norway is often clear and clean looking, yet powerful and unforgiving. I wish I could say more on the matter, but each case was unique with the one trend appearing to be that these accidents happened within days of these paddlers arriving into Norway. 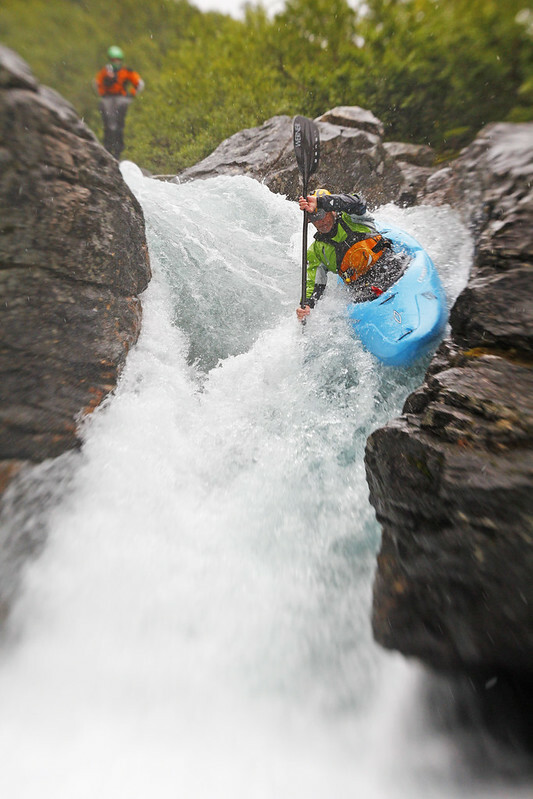 Whether that has any bearing on a single incident, is unknown, but Norway is known for its power and clean whitewater, slides and drops, and in this relentless playground, incidents can easily become accidents that may not end well. Play safe, and as safe as you can. Towards the close of the summer, we got to enjoy a day out at the Hunderfossen Fun Park, a local spot for us, opposite the Hafjell Bike Park. 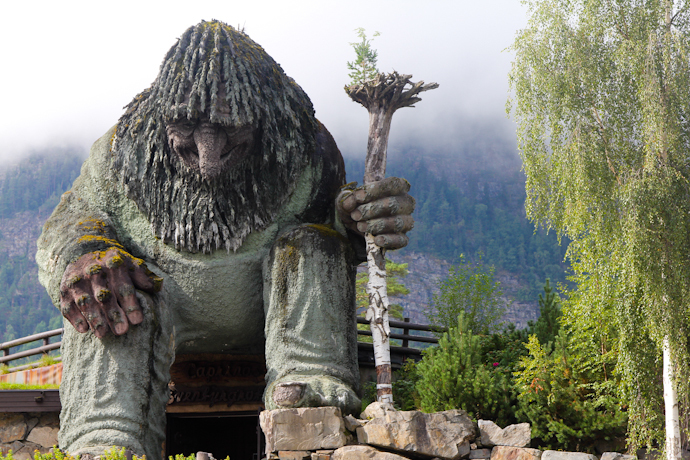 An amusement park, but Norway style, some great folklore rides and sights, open air theatre and of course farm yard attractions. I was very surprised how good it was, although having to pay for parking at an out of town place, plus gate entry seamed a little rude, even if they are only open for s short summer season. PS, as you can see, I am trying to catch up, the rest soon, I promise.